You know it when you see it: design perfection. Yes, art is in the eye of the beholder, but there is an ultimate consensus among design enthusiasts that beauty can be created anywhere. Whether it is on the canvas, in historic architecture, or audibly in the piston-purr of a 12-valve engine, beauty radiates a sense of care, precision, connectedness and transcends the ordinary. 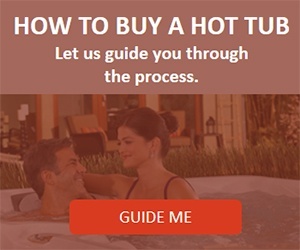 Is it possible to elicit those same goosebumps when shopping for a luxury hot tub? Of course it is. The desire to introduce a premium luxury hot tub into your life must be carefully nurtured. Your satisfaction is at the core of your decision. Hot tub features are varied and range in quality – some more artful than others. 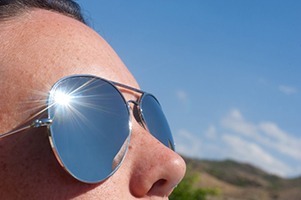 It is important to know what you want and where each feature stacks up against the others. These are some of the questions that will deliver you to your destination: soaking in a spectacularly designed luxury hot tub. Multiple exterior and interior light zones help you set the mood of the evening. Question #1: Ambiance is important to me. 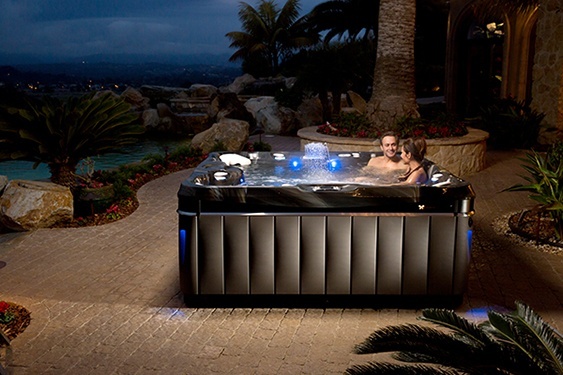 What makes the hot tub mood lighting inside and around the Utopia® Series spas special? Like a great cinematographer lighting a scene, the placement, number, and color palette of hot tub lights can set the mood, feeling and aesthetic of any situation. 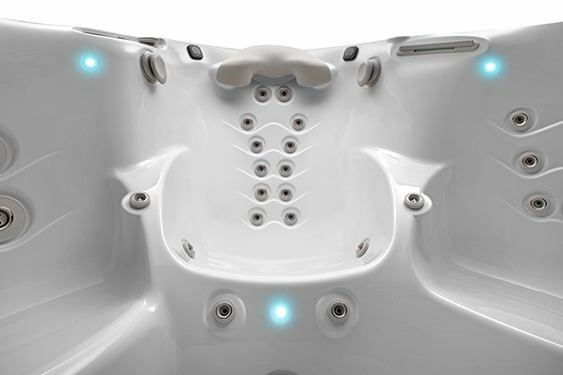 The Utopia Series spas come with lights adorning all four corners of the exterior hot tub cabinetry. This allows for an accented perimeter that is both beautiful and safe while visiting the hot tub at night. When it comes to lighting the interior of your spa basic models offer an acceptable white or colored light. Expect more from a luxury spa. The Utopia Series comes with SpaGlo® zone lighting enhanced with an interior LED Points-of-Light multi-color system for even more dramatic impact. Picture yourself choosing a color or a rainbow of colors that sets the mood for a happy hour, family fun night, or a relaxing Saturday night. Powerful yet unobtrusive 1-inch hot tub speakers allow you to enjoy a truly special audio experience from inside your hot tub. Question #2: I enjoy a tranquil environment. 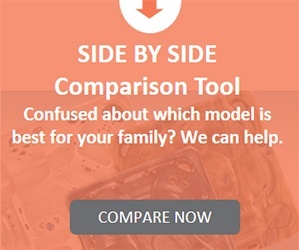 What makes a Utopia Series hot tub quieter when compared to the others? 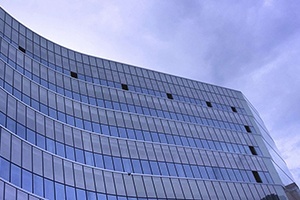 Soft white noise is known to help babies, adults and even animals fall asleep. Hot tubs generate noises that initiate tranquility, while some amplify into the noisy zone. The hot tub insulation, jet pump and hot tub filter are usually the culprits. Great care is taken with luxury hot tubs to mitigate unwanted noises. Ensuring the advanced integrity of the insulation and cabinetry appointments set a luxury hot tub apart. 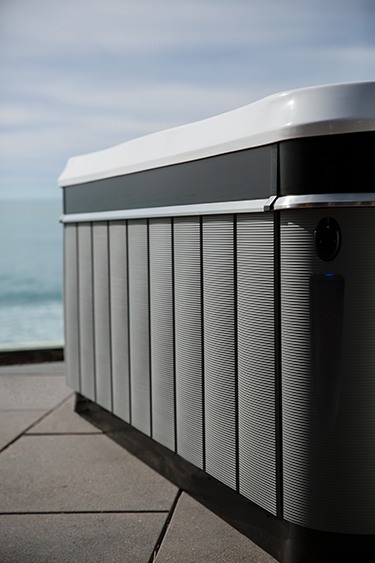 Additionally, in the Utopia Series the grate that covers the filter has been designed to hide the filter compartment and minimize hot tub noise. Not only does it serve an important function it adds aerodynamic design appeal. For those who enjoy music or more healing meditative audio recordings, the optional entertainment system includes thoughtfully-placed hot tub speakers around the edge of the hot tub to feed your need. Contoured headrests will cradle your head during the entire audio, visual, and bodily experience. Now, this is luxury. The Utopia Series models offer the EcstaSeat® for a full-body experience. 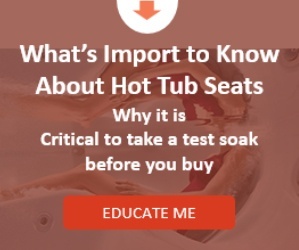 Question #3: Will the design of the hot tub seats and jet configuration fit my body? Choosing the size of your hot tub and the jet configuration involves more than deciding how many people can fit in it. Most of the time you won’t be dealing with a “standing room only” situation. You’ll find that you alone will use every one of the seats in your hot tub, sometimes multiple times each session. Whether you’ve walked 18 holes, shopped ’til you dropped’ or played Weekend Warrior, attention must be paid to various body parts. Sure, a basic hot tub provides help. 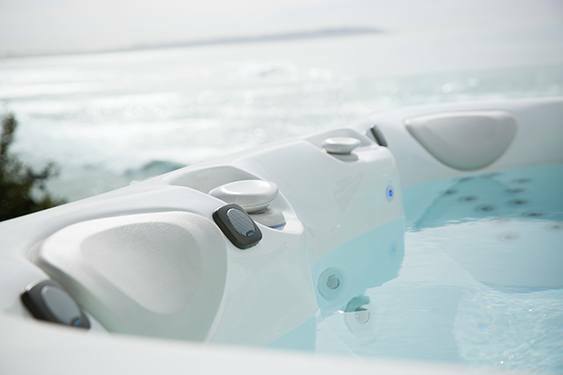 However, a luxury hot tub with 46, 52, 55 or 74 well-placed hot tub jets like the Utopia Series ramps up the attention and healing benefits by placing massage jets right where you need them. How good does a foot massage sound right now? The hot tub seats have been designed for maximum benefit and comfort. 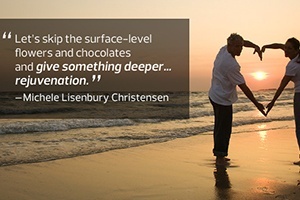 It is the little things that matter and the Utopia® Series has plenty. The Utopia Avante™ all-climate cabinetry puts durability and clean lines first. Question #4: How well will the hot tub withstand harsh weather conditions? Even if your mantra is function follows form, everyone wants a good thing to last. It is difficult to determine on shear looks alone if a hot tub’s components and cabinetry are going to weather the weather. Look for durable and innovative hot tub cabinet materials. The surface, form and color of the cabinets set itself apart from a lesser quality hot tub. Great examples are the Avante® all-weather cabinet and the ABS Base Pan® on the Utopia Series that frames the bottom of the spa minimizing ground contact. This ensures protection of the interior components, adds support to the hot tub and improves energy efficiency. All this, while looking spectacular. Life is filled with art. You have the opportunity to add to the beauty that surrounds you by purchasing a luxury hot tub today. It is time to place brush to canvas and create those goosebumps. Go for it. Transcend the ordinary. 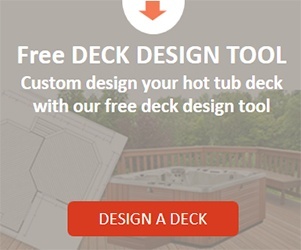 If you are already a hot tub owner we would love to hear how you are enjoying the design of your luxury hot tub. Get You That Work Promotion?